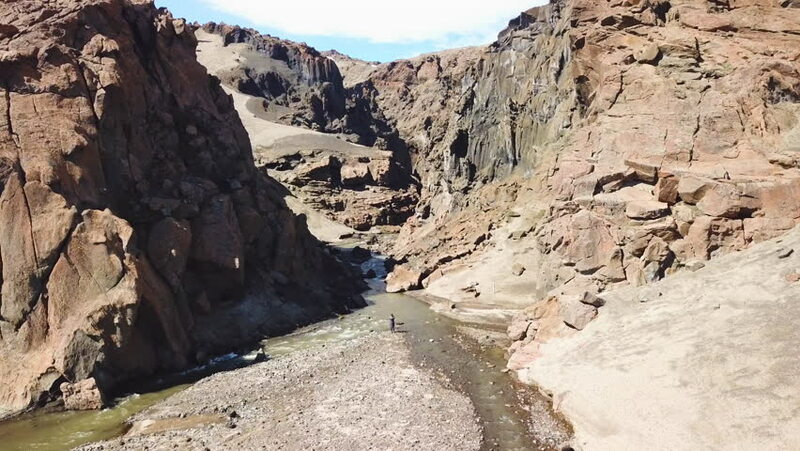 4k00:26ICELAND - CIRCA 2018 - Aerial over a woman walking into a deep and mysterious canyon in Askja, central highlands of Iceland. 4k00:30Aerial Natural Arch San Rafael desert Utah recreation. San Rafael Reef geologic landscape. Erosion towering cliffs deep canyons. Extreme off road 4x4 recreation dangerous wilderness desert.